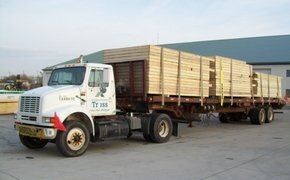 Established in 1956, Michigan Timber & Truss is an American made, family owned and operated company. We are Michigan’s oldest and most dependable truss company. Michigan Timber offers custom-made roof and floor trusses, engineered wood products, timber trusses, laminated beams, wall panels, wood pellets, and many other specialty products. 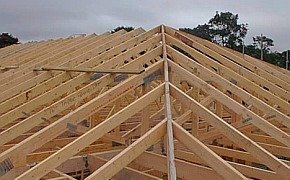 We specialize in producing wood roof trusses to meet any need. In our many years of experience we have built almost every roof truss imaginable. No project is too complex or challenging for Michigan Timber & Truss. 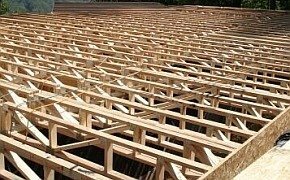 Floor Trusses are an essential part of every building. We custom design all our floor trusses to meet your specifications. We can produce floor trusses up to 40 feet long and 30 inches deep. 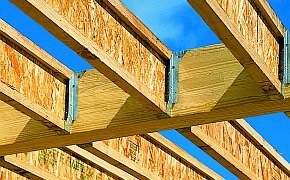 Michigan Timber & Truss carries a complete line of Engineered Wood Products to meet all your needs. We will custom design an Engineered Wood Product package that will exceed your expectations. Wall panels are built off-site and shipped to the jobsite prior to installation. There are huge benefits to this, including greatly reduced on-site build time while maintaining a very high quality wood product.